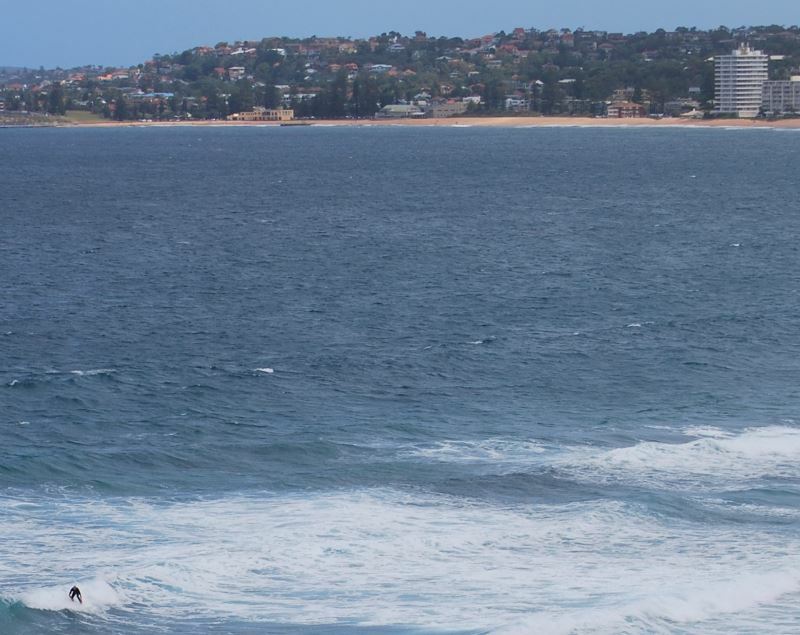 Although not as wide as some of the other northern Sydney beaches, it is over three kilometres long. To the south, it adjoins Collaroy Beach. At Collaroy, there is a rock pool, suitable for young families and those keen to swim away from the surf. Behind the beach, there are three recreational areas to be enjoyed, Birdwood Park, located behind North Narrabeen Beach near the bridge, along with south and north Narrabeen. Public facilities include public toilets including disabled, showers, a playground and viewing platform. There is also a picnic area with tables and places for BBQs. There is usually some surf, with sand breaks all along this long beach. In October 2009, the beach was declared a National Surfing Reserve and with north-easterly winds on big days and a bit of luck, there are excellent surfing conditions to be found. Just north of Narrabeen Beach there is Little Narrabeen, on the other side of the outlet for Narrabeen Lagoon to the ocean. There are three Surf Life Saving Clubs along the beach, South Narrabeen, Narrabeen and North Narrabeen. They are there for you and your family, please follow their instructions and are available in the warmer months to tell you about the beach conditions and further advice. There is a regular bus service from the city as well as Manly Wharf, located on the north side of Sydney Harbour. You can catch a regular bus service from Manly (151). Catch the ferry from Circular Quay at the foot of the city, enjoy a ride on the ferry or jetcat over the stunning harbour and take the bus past more beaches and scenery. At the Manly Wharf there is the bus stop.